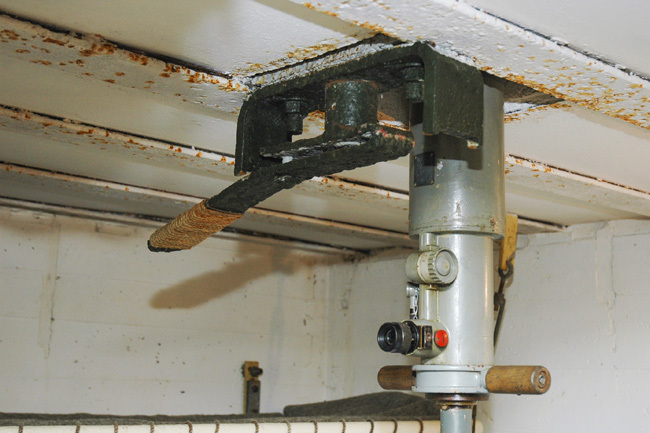 According to regulations, one or more periscopes should have been integrated in every personnel bunker, headquarters or Kampfstand (machine gun, grenade launcher or anti-tank gun). Of course there are exceptions to the rule. 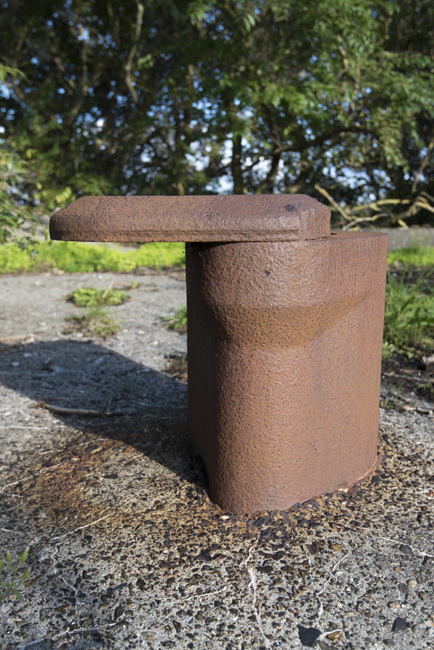 Because periscopes as well as the armoured parts were scarce the feature was sometimes left out, especially when the bunker wasn't on a really strategic location. 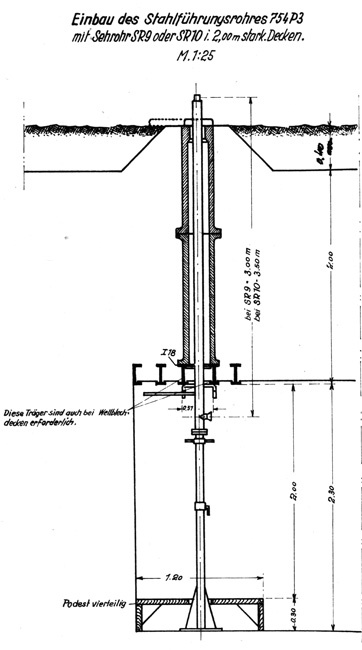 There're also examples of nachträglicher Einbau, the space for the part was left open so the tube could be installed later. And then there are the bizarre exceptions. 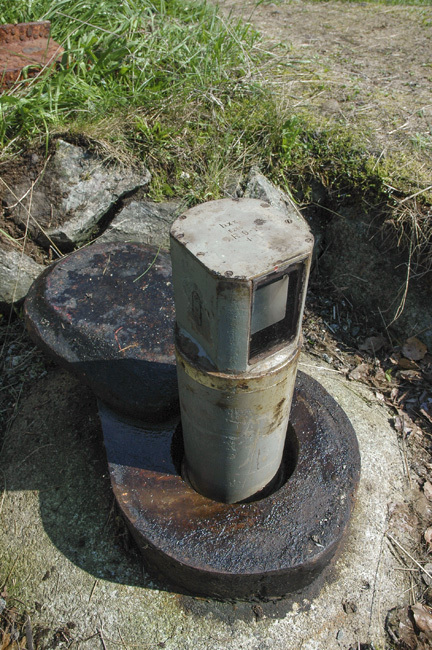 We have counted four periscope tubes (735P3) in one bunker (Sk Nachrichtenstand Jersey). 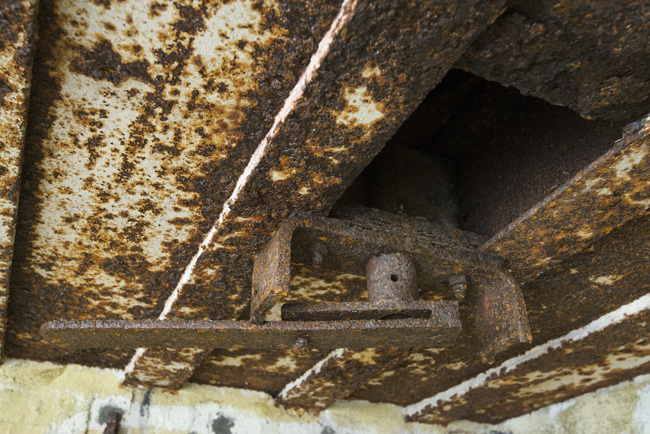 735P3: This armoured part was 1000 mm long and only protected the top part to the roof. 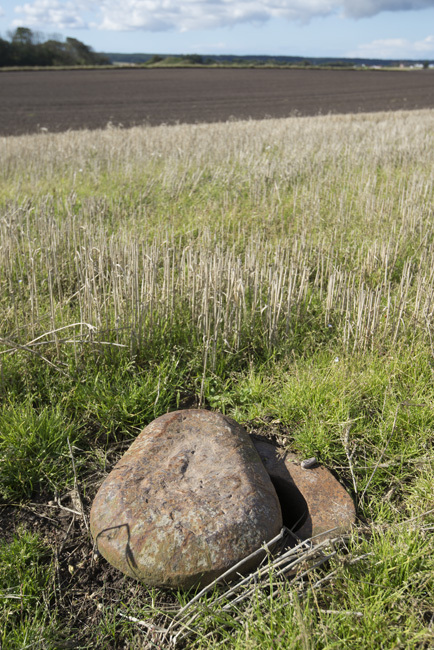 It was placed over a normal thin shielded steel tube. It could also be fitted into 3.5 meter thick "A" bunkers, because the lower part of the tube could have a variable lenght. It could be closed by a stop high inside the tube, but only after the periscope was completely removed. On the inside a plug with a bayonet catch and spindle was used to make the tube gastight. 754P3: It consisted of a top part of 1000 mm and a lower part of 1300mm so the entire periscope tube was armoured. 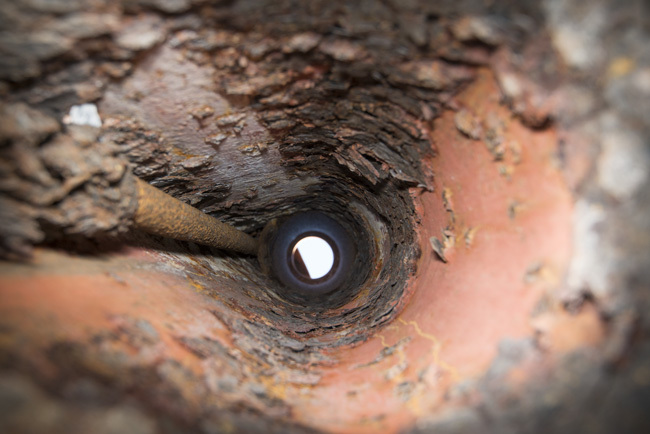 If the periscope was not used, it was lowered just a few centimeters and the opening could be closed by a thick armoured plate on top of the tube. 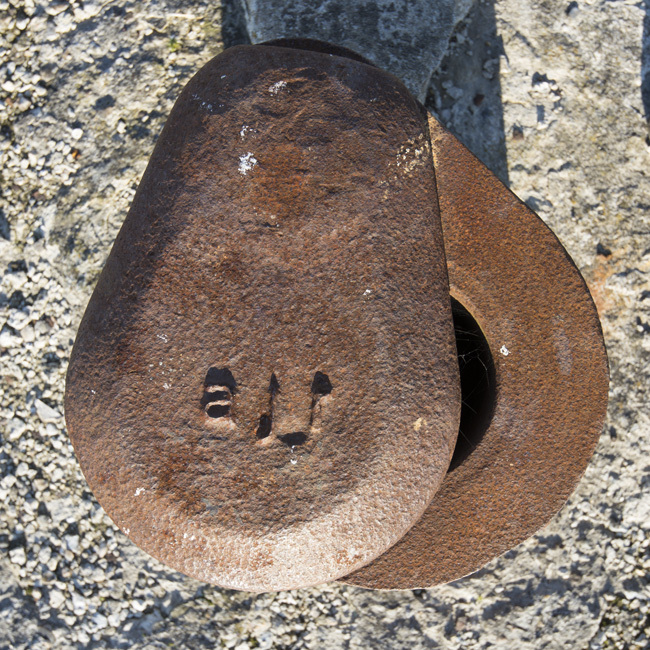 This plate was mounted on a long bar and a handle could close it off from the inside of the bunker. 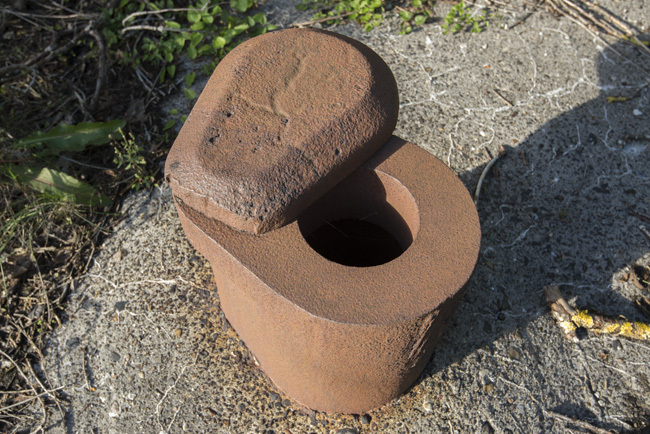 This type could only be used in bunkers with strength "B". 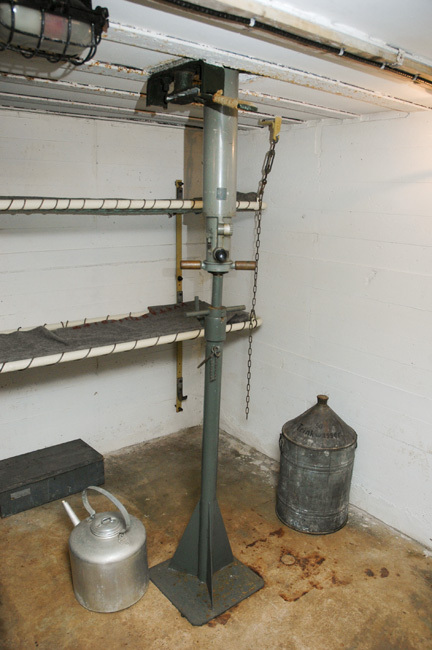 With both tubes, the bunker was not gasproof anymore, when the periscope was in use. Orders were to first use up the 735P3, and then continue to integrate the 754P3. 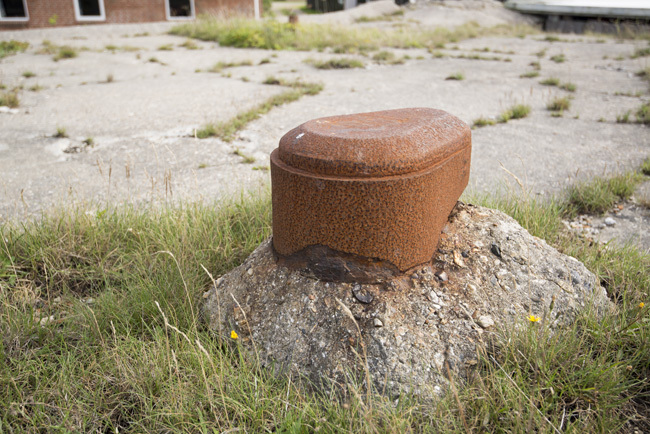 This is probably why you see relatively much of the newer type in late war bunkers (Denmark, Norway). On the lower end we also have the 733P3 and 734P3, which were respectively for 1.20 and 1.50 meter roofs and intended for the smaller Sehrohr 2 and 8. On the other end are the parts 756P3 to 764P3. These were built for roofs from 3.50 to 9 meters (!) and probably looked the same as the 754P3. We never found plans or real examples in the field.